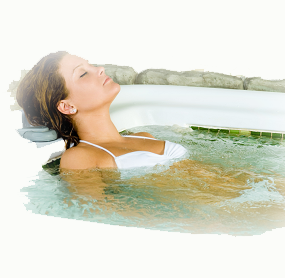 The healing properties of hydrotherapy are based on its mechanical and/or thermal effects. It makes use of the body’s reaction to hot and cold stimuli, to the protracted application of heat, to the pressure exerted by the water, and to the sensation of the water itself. Nerves carry what is felt by the skin deeper into the body, where it is then vital in stimulating the immune system, influencing the production of stress hormones, improving circulation and digestion, encouraging the flow of blood, and lessening the body’s sensitivity to pain. Generally speaking, heat is used to quiet and soothe the body, and to slow down the activity of internal organs. Cold is used to stimulate and invigorate, increasing internal activity within the body. 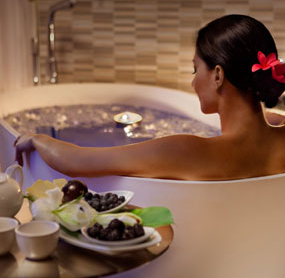 If the body is experiencing tense muscles or anxiety, heat is recommended in the shower or bath. For feeling tired and stressed out, it is recommended to take a warm shower or bath followed by a short cold shower to help stimulate the body and mind.